It’s a scary thing to feel like you’re not in control of your own business. In my case, the more I grew as a developer and better understood the web and my customers, the more constricted I felt building my own products based around somebody else’s business and vision. I’m a thinker, developer, and designer. I like to think big, develop from scratch, and design freely. All on my own terms. Theme frameworks are great at a lot of things, but I’ve never used one where I didn’t run into limitations, or had a difference in opinion in how things should work. As much as I enjoy using Thesis, it’s no exception. To me, limitations mean lower quality products. I mess up a lot of things when it comes to business, but I do not released half-assed products filled with workarounds. Now, scale that up to reach, and my products were merely white noise to anybody who didn’t use Thesis. I wasn’t just selling my work, I had to sell somebody else’s first. I trust that I have enough knowledge and experience to build my own products, and have the ideas that will take them off. To do all of that in an ecosystem that isn’t mine will only hinder what I believe I can create and accomplish. What started as a luxury eventually became a crutch. Progression is the name of the game, and I’m ready to kick off a new era here at Kolakube. At the time of writing this, I’ve created and released two WordPress themes. In February, I released a blogging theme called Chronicl. This got my feet wet in WordPress theme development, and taught me about the pure power of WordPress without a framework, and how to build a theme that favors decisions instead of options. Then, just a few days ago, I released a new theme called Spotlight. 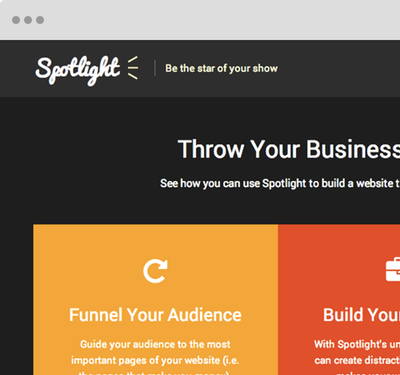 Spotlight is more for creatives, and comes with 3 plugins that integrate into it. This taught me about modular development, and the benefits of building functionality into a plugin vs. a theme. With each theme I build, my goals and ideas for what I want to accomplish at Kolakube became a little bigger, and my vision clearer. I’m starting to see that even though my products are different, they share many things in common. These similarities help me paint a better picture for the business model I want to build Kolakube around, and further strengthens the philosophies I have about building websites. What that really means, though, is that I’m figuring out how to build better products for you. Products you can use to make more money with your business. Products that help you build the website of your dreams, and take care of the technical side of WordPress. Products that allow you to focus on building your own products, and creating content. Quantity will never be the focus here at Kolakube (it honestly never has), because quality and meaning will always rule here. I gave my best attempt to back these philosophies up in Chronicl and Spotlight, and can’t wait to further improve them alongside new products as I go. To everyone who’s continued to buy my products and supported me along the way, I just wanted to say thank you. I’ve been pretty quiet the past year and a half, and a lot has changed in my personal life (I got my first apartment!) that I unfortunately prioritized over other responsibilities. I have a lot to talk about, a lot to teach, and a lot of products to build. I’ve honestly never been so excited in my life. I don’t know where I’m going with all of this now, but I just hope you’re intrigued enough to follow along. If so, enter your email address below to join the Kolakube newsletter where I’ll send you my best advice and tips for building a better website for your business. Pumped to see where you’re going with Kolakube bruh, and love that you’re carving your own path in the process. Wow, great news. Can´t wait to see where you are heading to in the future! Alex, you Rock and awesome to see you doing this “blogging thing” again! Spotlight is awesome! Can’t wait to see what else you have in store for Kolakube! I think blogging is the thing I missed more than anything! I’m really committing myself to blogging more frequently again and have some great article ideas in store. Yep, definitely some of the best WordPress themes I’ve seen… really proud of the direction you are taking, and will definitely be getting your themes as I start building my online businesses in the near future. Thanks Karim! Stepping out into the WordPress world is definitely a lot tougher than being in the safety net of a framework and the community that comes with it…but I think I can make a bigger impact this way. Nice work, not sure how your Node.js or AngularJS but maybe future work could involve themes with these in some way. Thanks Sam! I’ve never played with either of those things (JS is my weakest skill right now), but have always been curious about them. Who knows what’ll happen?! 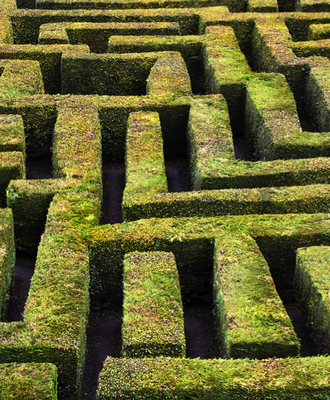 Business decisions have to be made sometimes that change the direction you’re going. But, no matter the pains and hassles, it’s the destination that counts. Alex, keep on trucking. Well, I was excited when I stumbled across blogussion and “that kid with the cool theme” years. And I was excited when you launched MD3 because it made Thesis 2.0 work for me – and it was cool. And I’m excited now, because it’s life and you grow into it and that means change and bigger dreams. I get it. Woo, you remember Blogussion! 😀 Those were definitely some of my best days, and I want to get back into the habits, work ethic and mindset I had back then. I’m happy to hear MD3 has been working for you! You’ve done a great job customizing it. Wise and inspiring. You’re setting your own direction, which is onwards and upwards. I’ll shortly be purchasing another couple of your themes. If they’d been connected to Thesis I wouldn’t have. Ah, and don’t apologise about the apartment. All part of life’s infrastructure! I don’t know if you remember me, but I’ve known you since the early days of Blogussion (I even did a couple guest posts). Glad your doing things your own way. Looks like you’re doing well. I have my own freelance writing business now. I’m about to drop out of college and get my first apartment to. Thought I would drop you a line. Good luck with everything man. I absolutely remember you, Jake! Long time no see, and thanks for the comment! So, you’re making the move to drop out to go full time with your business? Or do you have other plans? It’d be great to catch up with you and hear what you’ve got going on… it sounds like we’re in about the same place right now. I’m going to shoot you an email! Hey Alex. Great to speak with you again. Yes, I am looking to drop out full-time and work on my business. School has proven to be useless (something I knew before going but I figured I would try it). Not making enough to live yet, but I’ve only been working part-time. I am going to save up some money by living with my parents for a few months, then I’m looking to get an apartment in Austin, Texas (seems to be the place to be). I would definitely appreciate your wisdom in these matters. It’s great to read about your progress. I just recently installed Chronicl and I’ll be grabbing Spotlight for a different project too. Keep up the great work and I look forward to recommending your products to friends. Thanks for your continued support, Chris. 🙂 I’m digging your Chronicl site, and can’t wait to see what you do with Spotlight! Congrats on the new future direction. a couple of questions. You indicated that you wanted to focus on themes that encouraged decisions rather than options. Meaning? And a couple of posts on the restrictions that any framework places on the user would be good. Most of us went to frameworks because they had far more options to control the site without resorting to CSS which most of us are not comfortable doing. Noticed also that you are in Austin TX rather than North Jersey now. Are you going to college while developing themes or just wanted to move somewhere? Hey Jim, thanks for the great comment! When I said decisions over options, I meant that I want to create themes that work around your content, instead of forcing you to configure a bunch of tedious settings. For example, my theme Chronicl changes its entire layout based on how many active sidebar widget areas your site has (I’ve explained this in more detail here). Rather than creating a separate settings panel for you to choose your layout, I’ve built a layout that smartly adapts to the content you place on your site, and you didn’t have to do anything but create content. This is one of the most important philosophies I’ll be undertaking in my themes, and it will be applied in many different ways. Re: frameworks, I will be talking a lot about frameworks here, and my experiences from using them. There are a lot of misconceptions out there about frameworks, and I believe they simply aren’t necessary in many cases. Many frameworks introduce great tools to use to build a website, but I don’t think they’re any more powerful than a theme that is built with intent, and a smart codebase. It’s always my goal to make my themes easy for user’s to customize, and that will be another focus I put a great amount of effort into. I made the move to Austin, yes! But it wasn’t for college, it was to go all-in on my business and be in an environment that better suits the person I’m becoming and the line of business I’m in. I got distracted with other things, as it turns out moving into your first place comes is much more complicated than I thought… but I’m always growing and learning, and think I’m really starting to get a hang for things. Of course the Alamo Drafthouse, bbq, good music scene is a good motivator to be in Austin. Oh, and no income taxes, lets not forget about that. I understand your position with creating a theme stuffed with functions. I just don’t think you are able to create a theme than can fully adapt to your content. Tweaking will always be necessary. Case and point, headlines. Try putting a John Carlton esque type of headline on your landingpage. That can be over 5 sentences long. So the question is, do you place the headline in your widget title (therefore using the widget title style) or in the widget itself (and place it in a div tag). What I’m experimenting with my upcoming Membership Site Theme is to release it for free, and charge a monthly fee for support. I agree 100% with you about the need for tweaking. I don’t believe something as huge as a layout chooser can be fully automated, but I do believe that for most users simple decisions like that will do exactly what they need the theme to do. Would love to see you create new themes with a magazine layout that can rival some of the top magazine sites out there. You may want to consider creating a theme that will work with Genesis? Thesis 2 has been a pain to work with and we have many clients switch to Genesis. I honestly don’t see myself ever getting into Genesis theme development, but I hope to create powerful enough themes to make people realize how unnecessary frameworks have become in today’s day and age of theme development. Thanks for the update and good luck with your plans, Alex! Sounds like you have made a good decision that will be very helpful to all of us! I am currently using MD3 and plan to switch in May to Spotlight. Hopefully, it will be an easy transition. Let me know if you have any questions about Spotlight before you buy, Richard! Would love to chat about it and hear what you’ve been upto in your business. I’d be interested in knowing your theoretical view of what the limitations of Thesis 2 are. I drank the kool-aid only to experience continual frustrations, more from my lack of understanding than limitations. Email me privately if you don’t want to state publicly, if you want. There is great sales potential if someone designs a theme with the integration in a certain area AND ease of use. I should have been more clear in my post, but most of the technical limitations I ran into came within Thesis 1. Thesis 2, even if it may be hard to understand at first, has actually been the best WordPress software I’ve used outside of writing my own code in terms of freedom to make whatever I want. Of course, it’s not perfect, and most of the limitations I ran into came when doing more advanced things with custom loops (stuff an average user probably wouldn’t do). Because it’s a drag and drop builder, and not raw code, anything that hasn’t been built into the Thesis interface needs to be custom coded yourself within the Box system. Now, Boxes are very easy to build, but it was always a workflow annoyance moving back and forth between my code editor and the web interface. Long story short, I think Thesis 2 is just exceptional for developer’s and is the most limit-free “framework” you’ll find for WordPress. The community over there is ready to explode, and I think if someone came in and released a few good skins, they’d make a ton of money. It’s about damn time, killa. Too much open space out here to be chillin’ in a box. Do work! You’re so right (as always :p)! There’s a big year ahead for sure! Dig what you’re doing. Actually bought Chronicl just the other day for a personal project and I’m loving it. You did a great job on it. Hope to see you ’round the webs, and keep up the great work. Thank you Charlie!! Glad you’re loving chronicl, be sure to share the site when you’re done, I’d love to check it out! Alex – I like the idea of modular development via plugins, but considering the average user typically likes to have lots of add-ons and extra functionality, doesn’t the use of tons of plugins on a single site affect performance at least as much, if not more than theme or framework options–or boxes in the case of Thesis? And in that case, there is the issue of relying on more devs for ongoing support of the extra functionality required of the site. A huge misunderstanding about plugins is that they are the direct reason for slowing down your website. It makes really no difference in load times using more plugins over a theme that does it all, or what’s considered a “framework”. That being said, code that slows down your website in a theme will slow it down exactly as much as it would if loaded in a plugin. Write code that’s loaded only when/where it’s needed, and use the least amount of resources possible for peak performance. The greater side of WordPress is getting really good at this as more and more businesses adopt an addon model. As a bonus, sectioning off into plugins will help keep your site organized and you’ll be able to add/remove new features as needed since these plugins are becoming more focused and easier to use. This all makes switching themes easier if you want to do a huge overhaul of your site, so you don’t lose important stuff when you do it. I could go on, but I’ll leave it at that!